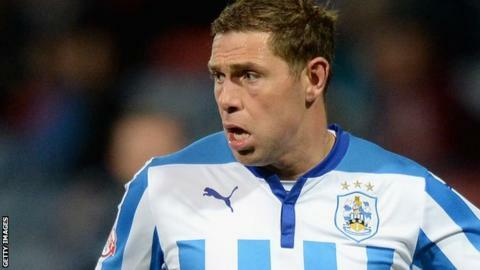 Wigan manager Malky Mackay has revealed that Grant Holt will be part of his plans when the striker returns from his loan at spell Huddersfield. The 33-year-old is with the Terriers until January, where he has scored twice in 10 appearances. Holt struggled under former Latics boss Uwe Rosler, spending the second part of last season at Aston Villa. "He's an experienced top player and we need as many good players at the club as possible," said Mackay. The former Norwich, Shrewsbury, Nottingham Forest and Rochdale forward moved to the Latics for around £2m in July 2013 following their relegation from the Premier League. The Carlisle-born striker scored on his debut against Barnsley but has scored just once more in his 22 appearances at the DW Stadium. Malkay also confirmed goalkeeper Ali Al-Habsi has returned following his one-month spell at Brighton.